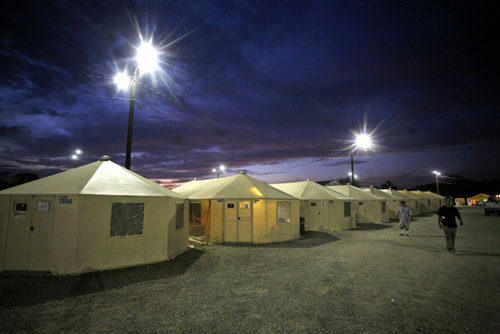 Our available base camp tent rental options are extremely flexible and can be configured with a variety of different types. Whether you require, clear span or pole tents with hard or soft sides, we have you covered. Also available are yurt style tents which can be used for housing, recreation facilities, medical facilities, dining facilities, office spaces or anything else imaginable. We also have solutions for power distribution, heating, cooling, and lighting. All of the structures are wind rated and operate in extreme hot and cold environments. 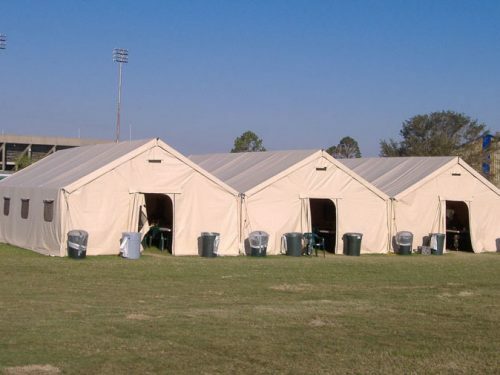 Our shelter systems are ideally suited for military and emergency response field teams, remote construction sites, wild land fire base camps, and crime scene investigations. 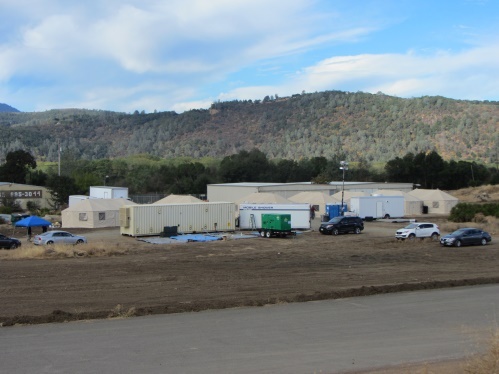 The 19′ x 35′ stretched octagons share common, standardized components enabling them to be connected together to create large, environmentally secure complexes with each unit providing 570 square feet of usable floor space. The walls and roof are constructed from tough 14oz flame retardant vinyl and with proper staking have a wind capacity of up to 70 MPH. Optional items include electrical distribution, and climate control HVAC functionality.